Top Videos for Cruise Destination Vik, Norway– Created by BoostVacations.com Staff. Feel Free to add, vote or provide feedback to the list. Where on earth is Rinell? http://www.youtube.com/watch?v=wb9GMMSgDUw Ulvik is located at the end of one of Hardanger Fjord's arms. The village has always been a tourist magnet. Here, numerous artists have settled down, and traditions and creativeness go hand in hand in Ulvik. World Travel https://www.youtube.com/user/World1Tube Oslo - Norway Tourism, Travel Guide http://bit.ly/180VClU Restaurants in Oslo - Norway Copenhagen might have Rene Redzepi, but Oslo has no shortage of talented chefs and top places to eat. Boasting four Michelin-starred restaurants among its food outlets, the cuisine on offer in Oslo varies wildly with everything from local Norwegian to Indian, Thai, Japanese and even Ethiopian eats on offer. We have driven the Trollstigen in Norway, a very very beautiful and exciting road. Enjoy the whole drive! 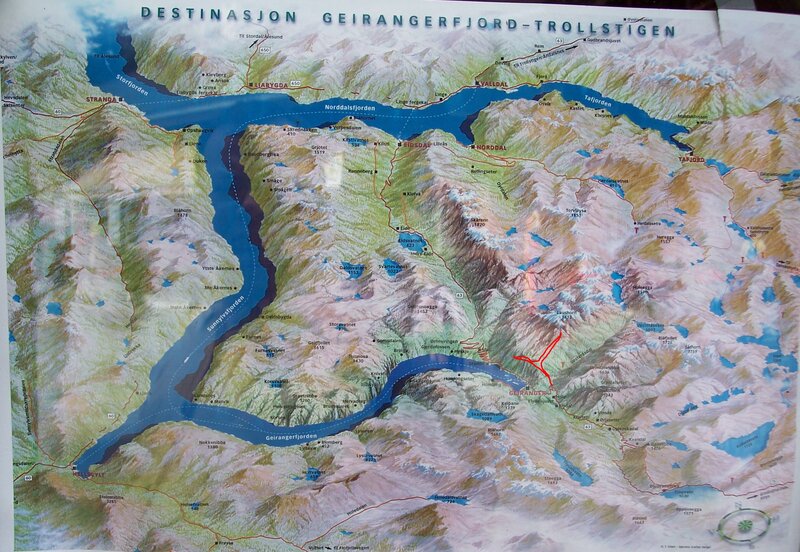 Wikipedia Info: Trollstigen (English: Trolls' Ladder) is a serpentine mountain road in Rauma, Norway, part of Norwegian National Road 63 connecting Åndalsnes in Rauma and Valldal in Norddal. Recorded September 1, 2008. Bergen is the second largest city in Norway, with a population of 252 051. Bergen is an important cultural center in its region and was one of nine European cities honored with the title of European Capital of Culture in 2000. Travel video about the destiny Norway. Oslo is a modern city inspired by the lively spirit of its former traders, fighting men and seafarers in a country bursting with untamed beauty. visit Norway in 7 min. Music: Tryad "Waltz Into the Moonlight", http://www.jamendo.com/de, creative commons copywright. Ålesund 0:11 Holmvika 0:45 Stordal 2:03 Stranda 3:15 Sunnylvsfjord 3:28 Ljøen 4:06 Hellesylt 4:35 Geirangerfjord 5:20 Geiranger 6:42 Map: http://www.hodruz.de/blogruz/media/geiranger_karte_gross.jpg Infos on fjords: http://www.fjords.com/ Situated 236 km north northeast of Bergen, Ålesund is adjacent to the Hjørund and Geiranger fjords. Recorded September 1, 2008. The video begins as I sail down Hjeltefjorden Fjord toward Bergen on the Sea Princess. Bergen is one of the wettest places in the world so the bright sunshine overhead was a nice bonus for this beautiful city. After docking near the city center I started my tour of the city.